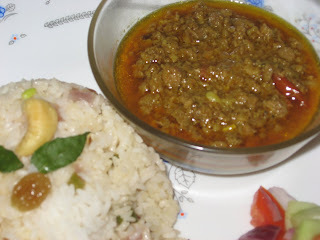 Weekends are always a good break to charge up our batteries for life , and the meals also plays a crucial role in it , somehow we indulge in some spicy, tangy and rich food .Mutton Keema or minced meat curry and vegetable Pulao is one such meal .Keema or Minced meat is quite an intriguing ingredient .It can be great to have minced meat kabab any time of the day or simple keema,I remembered making Ghughni with minced meat during Durga Puja on dashmi .This Ghughni is made with Matar Dal or sometimes with Chick Pea . We put The spice content in Minced meat curry on a higher note as the spice enhances the flavor of minced meat . meat is first marinated and then the meat is deep fried at med with all the spices , little bit of frying and then its is transferred to Pressure cooker for quick cooking, otherwise in the contemporary method whole of the fried meat is slowly cooked over a very low flame for an hour .Both the way keema is such a pleasure to eat . Here is the way we like to prepare our Minced Meat curry , this curry is loaded with oodles of spice .This is one hot and spicy meal for hot summer afternoon. 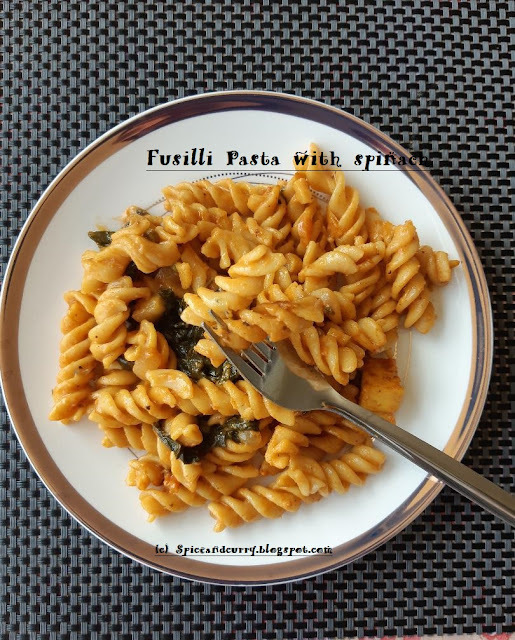 We thoroughly enjoyed eating it with vegetable pulao . Wash the minced meat in little warm water and take out and drain . Marinate the mutton with turmeric, red pepper ,salt,mustard oil. Meanwhile prepare the masala Paste . Add to the marinating Mutton,and set aside for 1 hrs . Now heat up Kadai or any heavy bottom pan, add mustard oil and let it heat up. Add sugar, bay leaf and all the spice including, cardamom,cloves and cinnamon . Add onions and fry at med for 3-4 mints till they are slightly brown, add more oil if necessary . Add the marinated mutton and now deep fry the minced meat for 10 mints at med high. Transfer the content to a pressure cooker and TIP-add the water by slightly warming in the Kadai which you used for deep frying ,this way the masala that has stuck at the sides of Kadai will come out easily and it can be added to the Gravy also .Add one chopped tomato also . Cover the cooker Pan and lock it , at full high flame , one whistle and quickly lower the flame and let it cook for another 10 mints .stop the Flame and let the pressure subside . Open the cover and sprinkle chopped coriander leaves (optional). 3 -4 cardamom open in between . Wash the rice thoroughly and soak them for 10 mints , now transfer them in large vessel with water and cook the rice , Drain the water when its partially done . Now heat up the Kadai , add ghee and all the tempering ingredients and fry at low for 2-3 mints till the nice smell of Spices comes out . Now add all the dry fruits , beans and tomato , again fry them at low for 4mints , Now transfer this mixture to the cooked rice and gently mix them , if required at this time add more ghee .Take out the entire Pulao in a Hot Pot and cover .Let it remain there for at least ½ hrs this way the rest of rice that needs that extra cooking will be done . Open when you are ready to serve and eat . 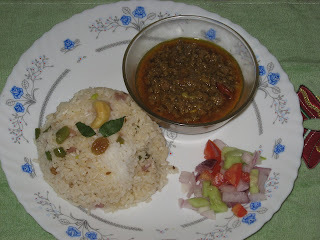 Wow Kheem curry and the pulao looks delicious. Hi! Jaya,your recipe looks yummmy! I will try this at home.You can drop to my blog to go for more bengali recipes.Do let me know how it was. Made this and was excellent!We love proper indian currys,and this is one I will make again. thanks for stoping here and trying out the recipe ..it means a lot..